2017 Grady-White 191 CE, The superbly engineered 191 CE expands the companys great riding skinny water bay boat style Coastal Explorer series to a 19-foot center console thats packed with features typically found only on much larger boats. The 191 CE offers great storage, seating and superbly engineered innovation. 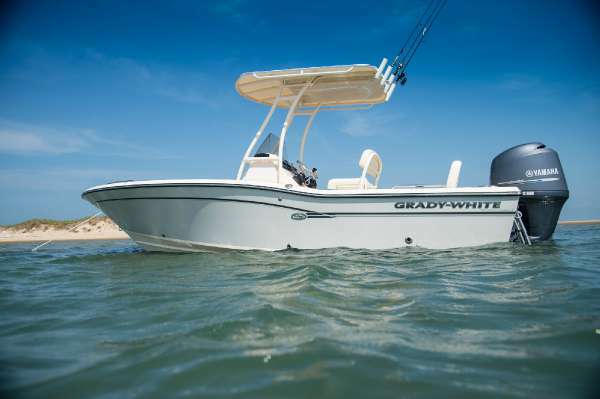 Heres family-and-fishing-friendly new boat design at its Grady-White best. 2016 Grady-White 191 CE, 2016 Grady White 191 Coastal explorer with Yamaha F-150 and Wesco trailer! 2015 Grady-White 191 CE, The ALL NEW Grady-White 191 CE is an Exceptional Low Profile Bay Boat. Great for the Sound and Near Shore Fishing. It is also a Luxurious Pleasure Craft. Features include a Yamaha F150 XA and a Custom Magic Tilt Aluminum Trailer with Guides and LED Lighting. Added Options Include a Garmin GPS/FF, Bow Cushions, Hydraulic Steering, Raw Water Washdown Kit, Removable Backrest Cushions and Sea Glass Green Gel Coat which is Grady-White's NEWEST COLOR. 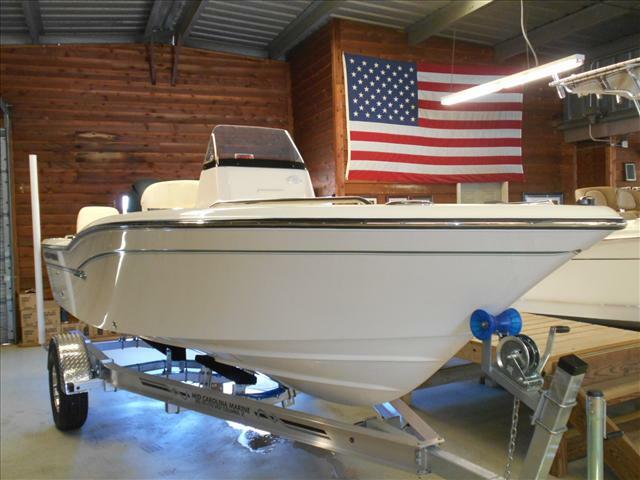 Great Boat -Great Buy!!! 2016 Grady-White Coastal Explorer 191 CE, 2016 Grady White 191 Coastal explorer with Yamaha F-150 and Wesco trailer! 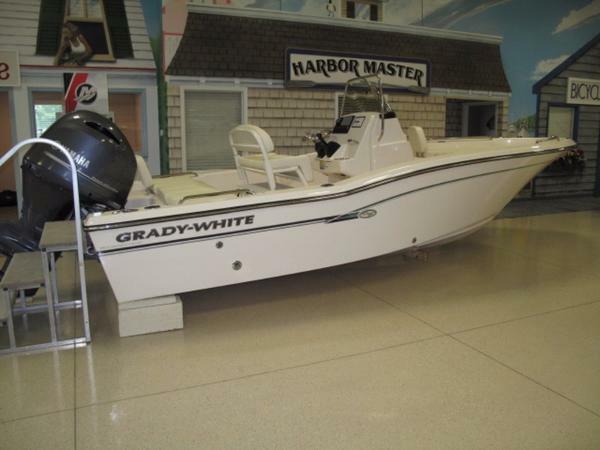 2016 Grady-White 191 CE Coastal Explorer w/ Yamaha 150 HP 4-Stroke - T-Top & Loaded w/ Options! Factory options include: Ivory Canvas T-Top w/ Painted (Powdercoated) Frame, Sea Glass Green Gelcoat Hull Color, Removable Backrests (4), Yeti Cooler Under Leaning Post Upgrade, Bow Table / Forward Console Extension, Bow Cushions, Raw Water Livewell - Forward Console, Raw Water Livewell - Aft Box, Tilt Hydraulic Steering, Fresh Water Cockpit Shower, Raw Water Washdown, & Battery Select Switch. Grady-White’s newest boat model, the 191 CE, continues the company’s great riding “skinny water” Coastal Explorer series, yet in a smaller 19-foot center console style. The 2016 191 CE is fully featured with great storage and seating. Here’s family-and-fishing-friendly new boat design at its Grady-White best. 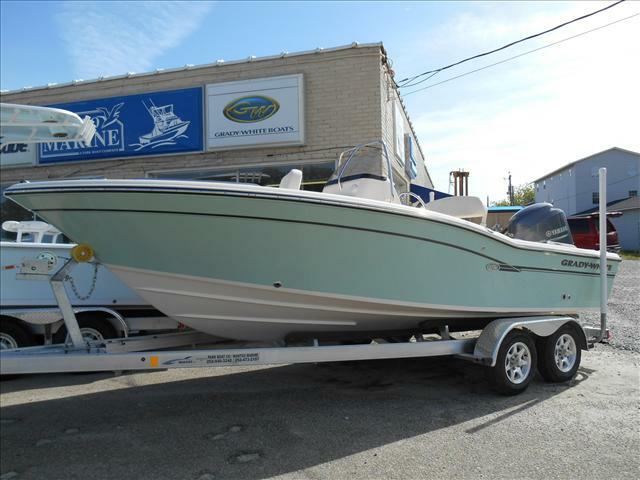 The distinctive low gunwales of the 191 CE Coastal Explorer allow very easy access to the water, and the stance of the boat is a great asset for catching fish and/or catch-and-release fishing. This low profile doubles in ease of utility for swimming, diving, tow sports (an optional ski package is available), exploring, picnicking or just cruising the water listening to the optional stereo system and sunning on the “casting platform” (an area that, with optional cushions, becomes a comfy sun pad when the fishing rods are stowed away). Under the platform, a hatch lifts to reveal a divided storage area with an anchor compartment and a 149-quart insulated fish box. Experience exceptional performance w/ the Grady-White factory pre-rigged Yamaha 150 4-stroke package while boasting the best fuel economies in its class - the perfect power package....GET THE GRADY! Call us today w/ questions or to schedule an appointment! Norfolk Marine's goal is to sell to those we can service, please contact your local Grady-White dealer. - 2016 Grady-White 191 CE Coastal Explorer w/ Yamaha 150 HP 4-Stroke - T-Top & Loaded w/ Options! Trailer Optional - On Sale Now! 2015 Grady-White Coastal Explorer 191 CE, The ALL NEW Grady-White 191 CE is an Exceptional Low Profile Bay Boat. Great for the Sound and Near Shore Fishing. It is also a Luxurious Pleasure Craft. Features include a Yamaha F150 XA and a Custom Magic Tilt Aluminum Trailer with Guides and LED Lighting. Added Options Include a Garmin GPS/FF, Bow Cushions, Hydraulic Steering, Raw Water Washdown Kit, Removable Backrest Cushions and Sea Glass Green Gel Coat which is Grady-White's NEWEST COLOR. Great Boat -Great Buy!! !